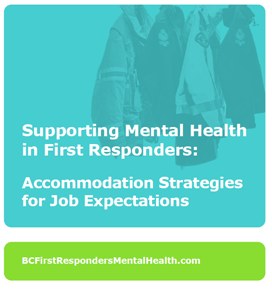 First responders attend calls and witness events that can cause them to experience strong emotional, physical, cognitive, or behavioural responses. These can be traumatizing and interfere with performance during and after incidents. They also face day-to-day life stressors that are common in many peoples’ lives at work and home. The compounding effect of life stress and trauma exposure can be detrimental to their mental health.